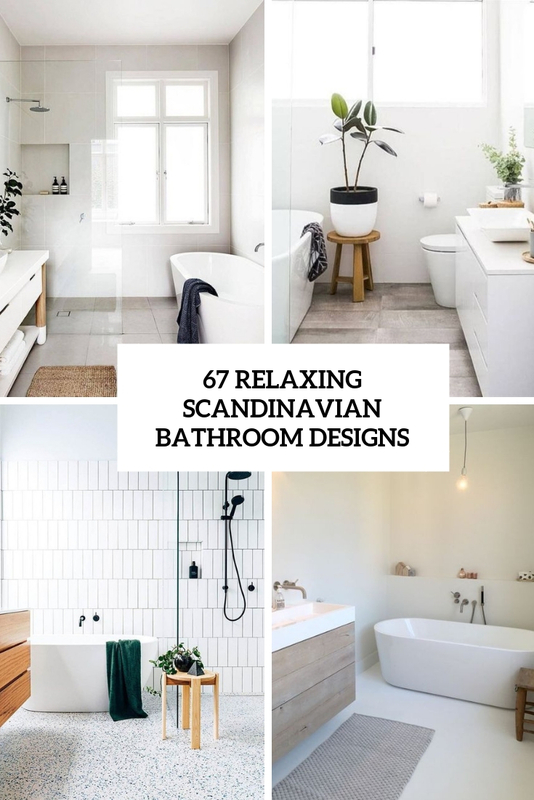 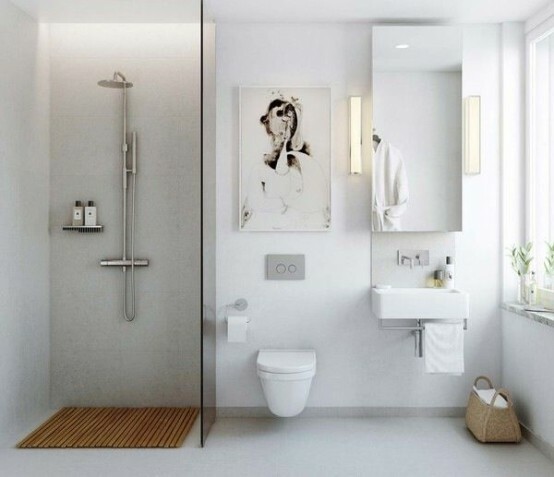 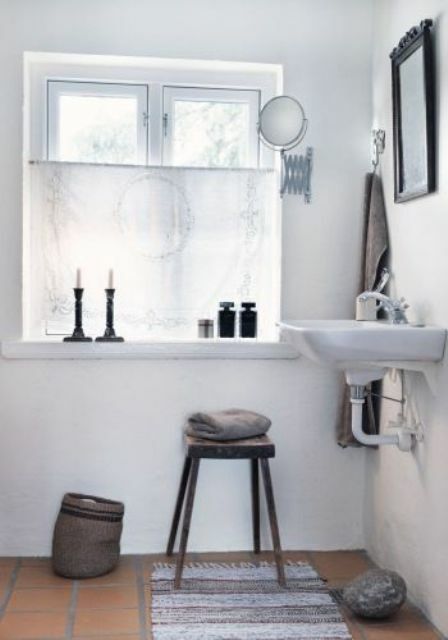 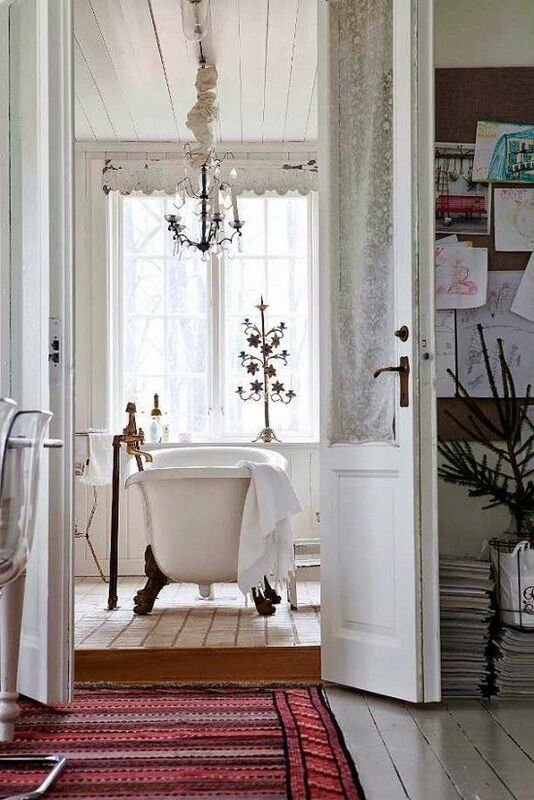 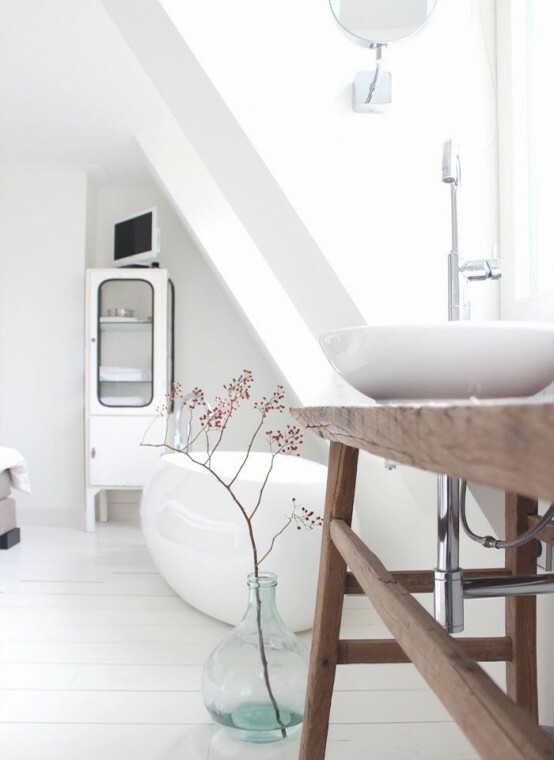 Scandinavian décor is calm, peaceful and rather relaxing, I think, so this style is ideal for bathroom décor because a bathroom is a place where we are looking for some rest after a long day – having a bath or a hot shower. 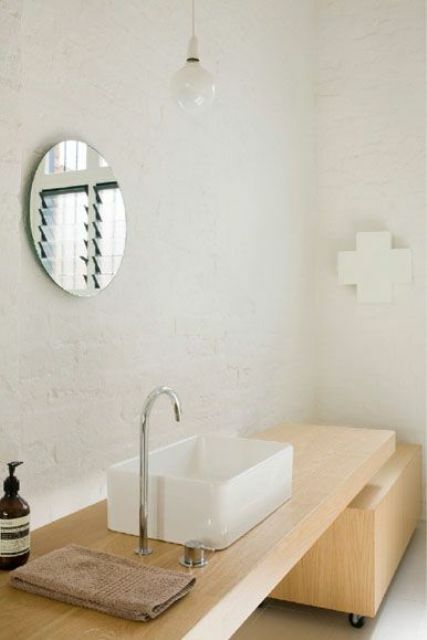 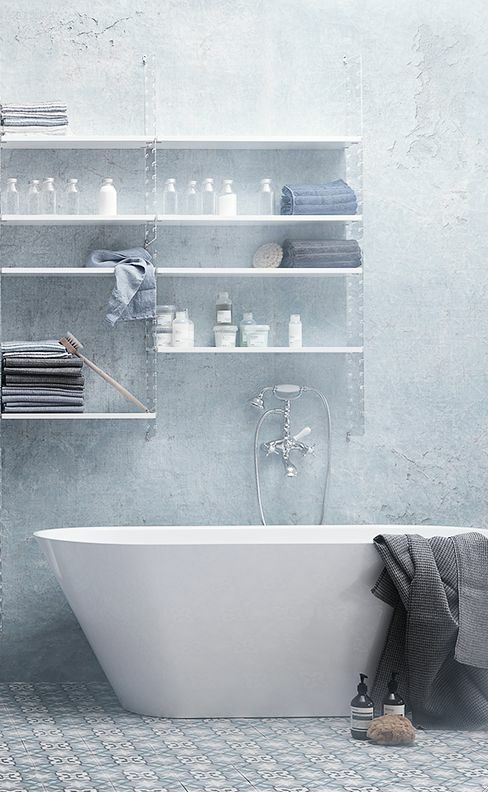 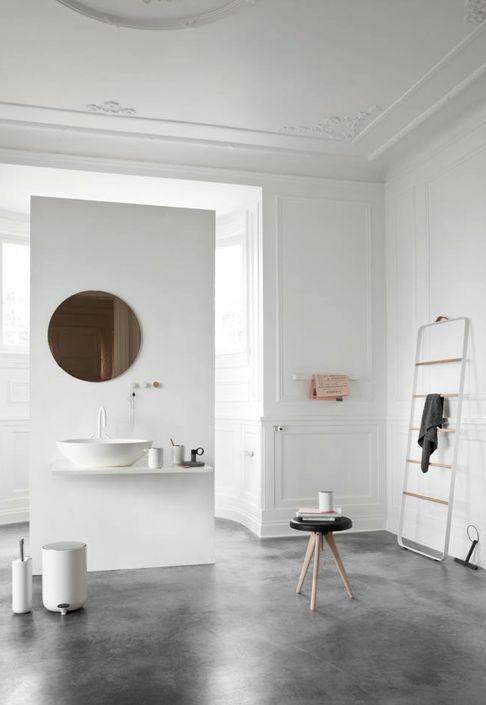 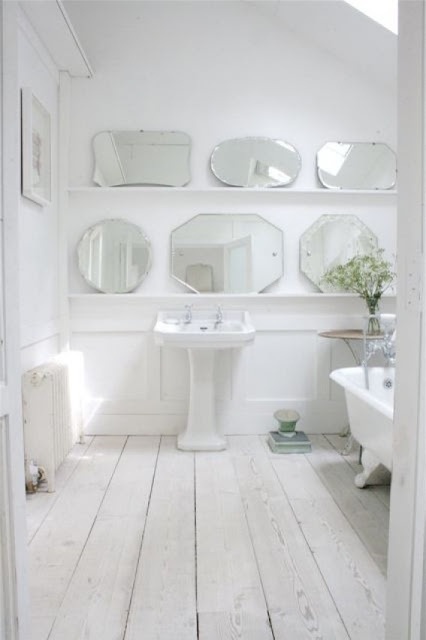 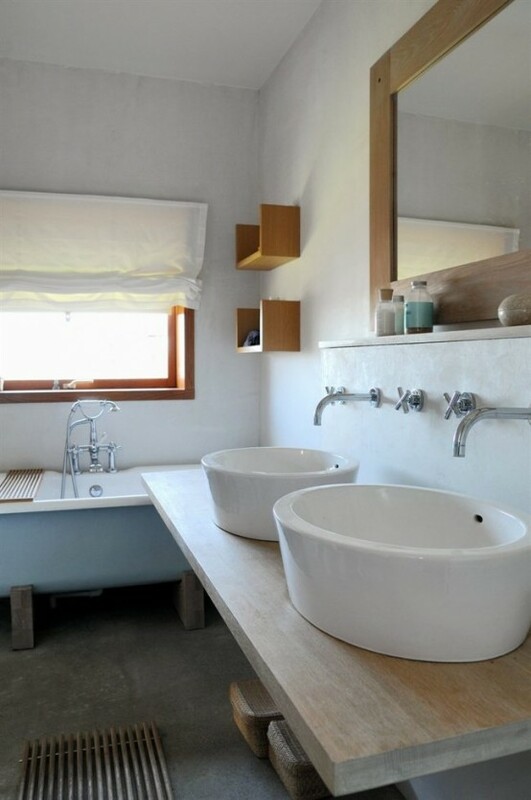 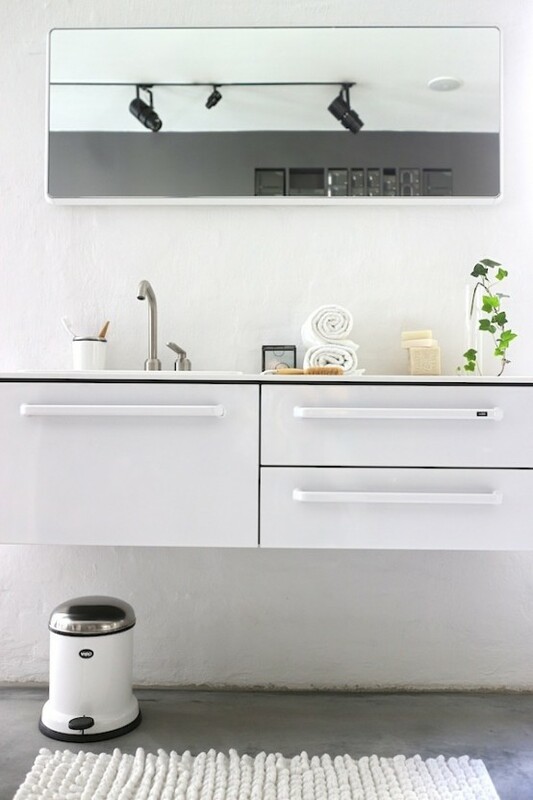 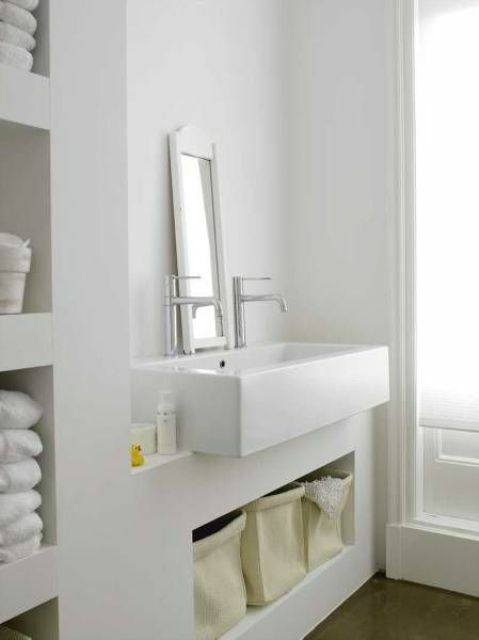 We’ve gathered a whole bunch of beautiful Scandinavian bathrooms, minimalist, elegant, stylish and with natural touches. 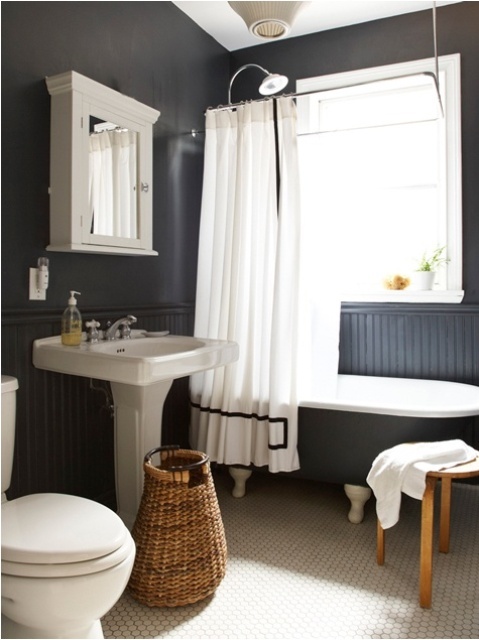 The traditional color scheme is black and white, of course but grey, navy and some colorful touches are also present. 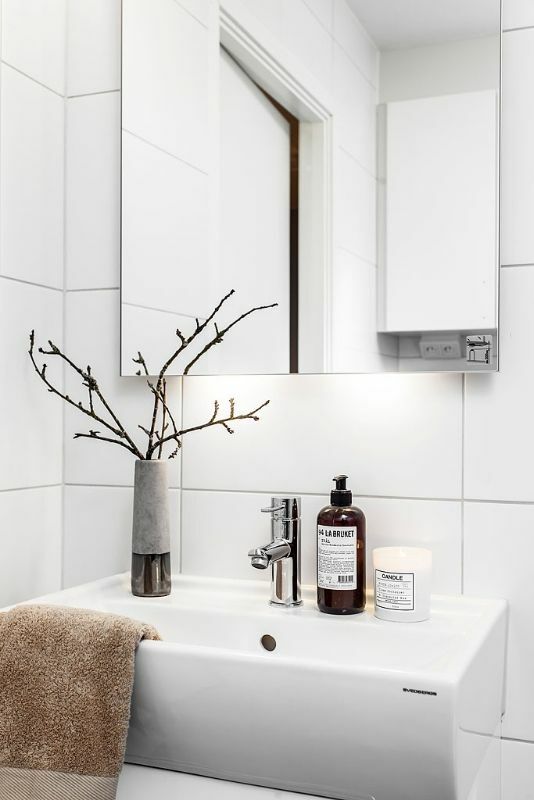 What I love about these Nordic spaces is lots of natural wood or stone – that brings a warm feel – and green plants that really turn your bathroom into a home spa. 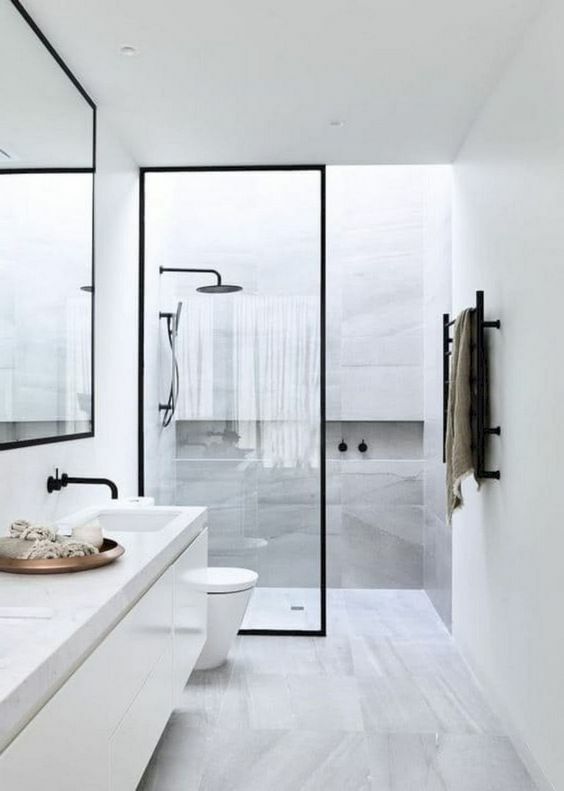 Enjoy the pictures below and get inspired! 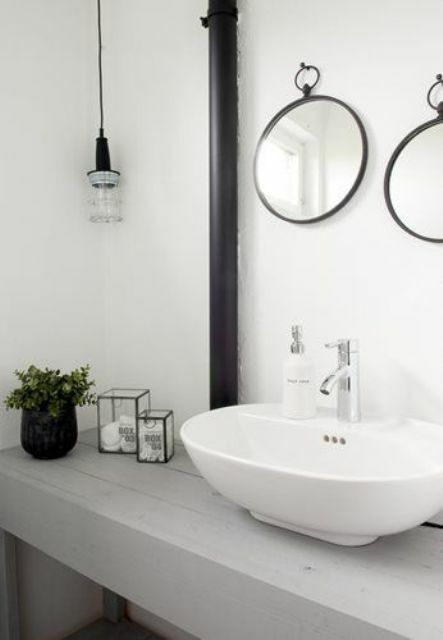 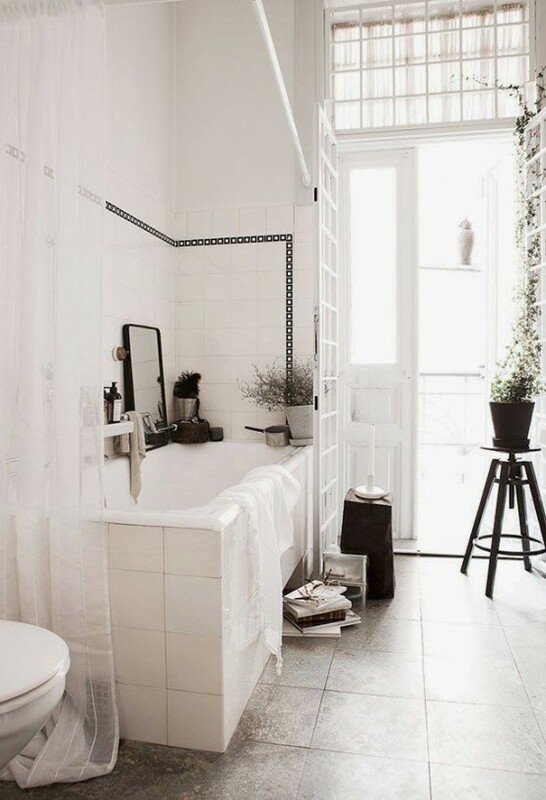 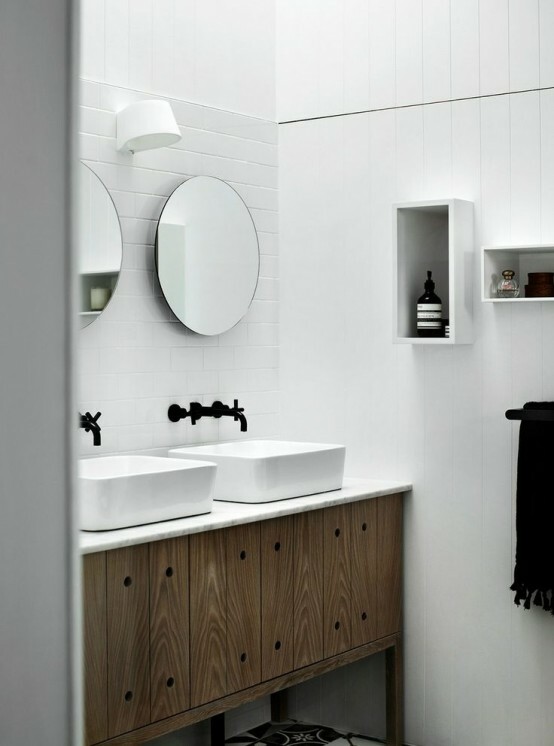 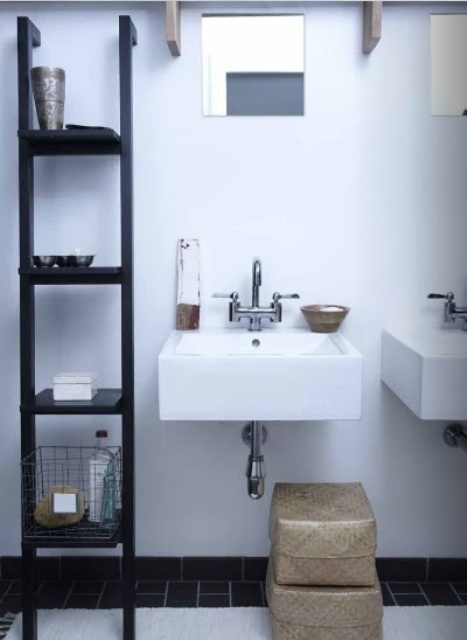 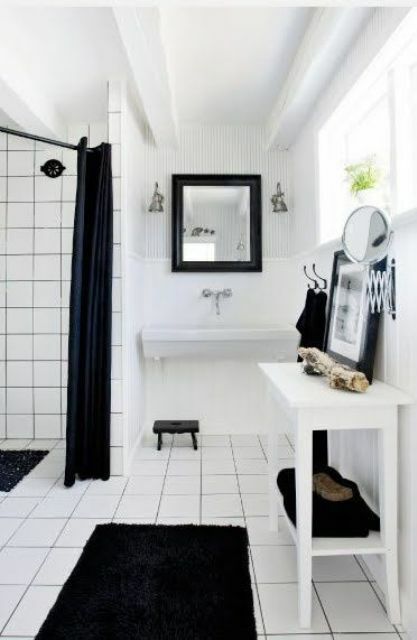 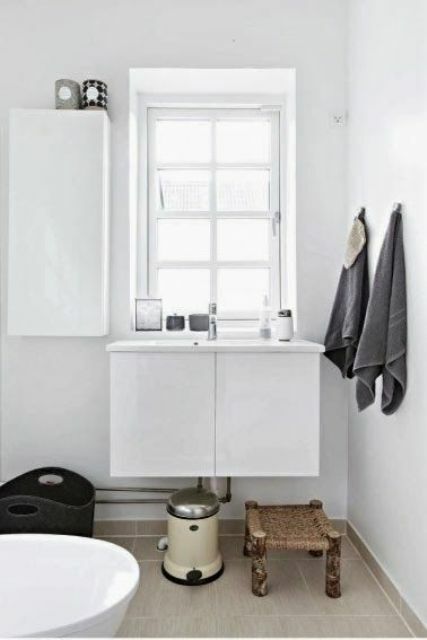 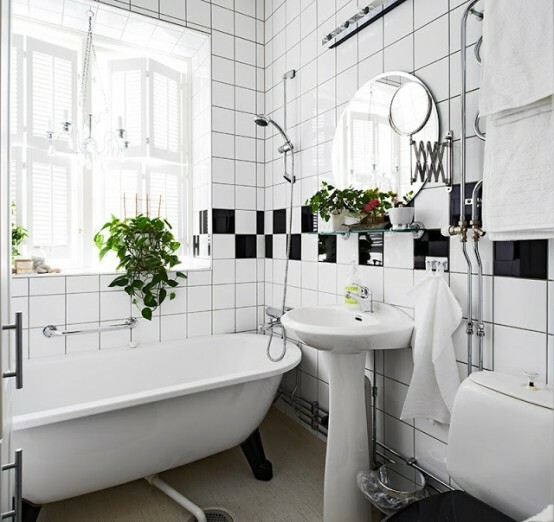 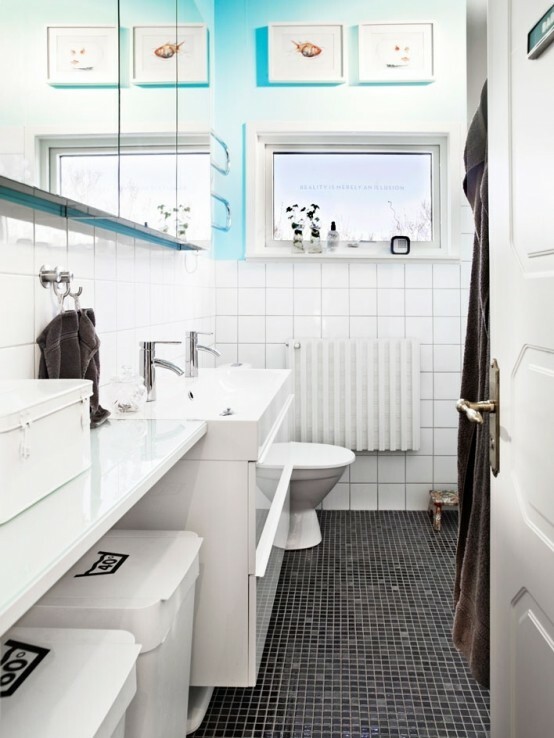 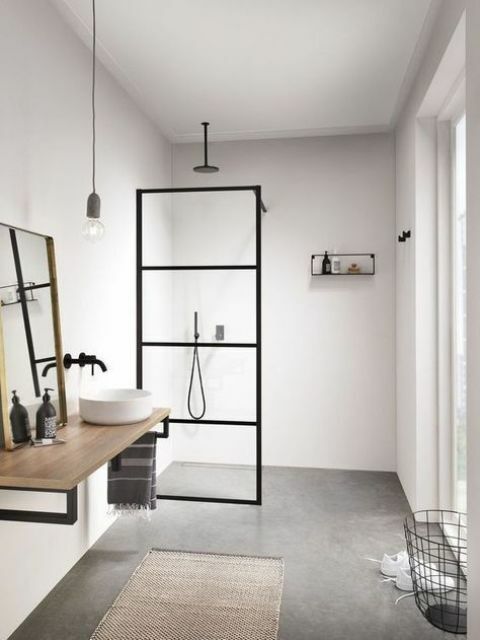 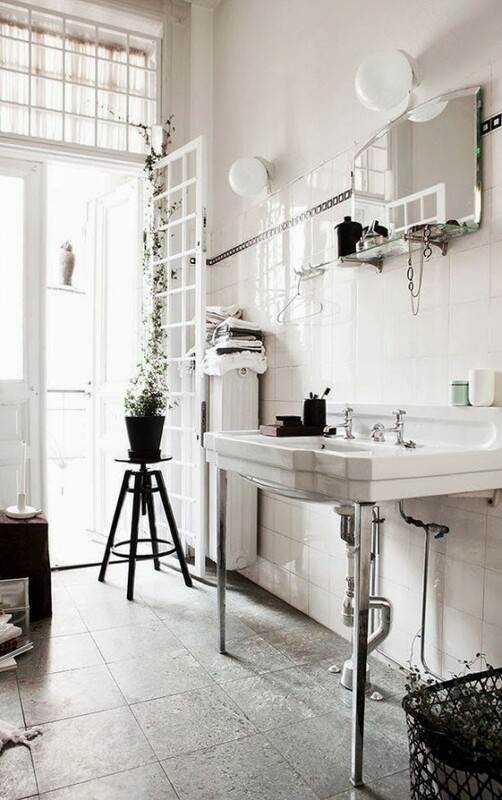 A Scandinavian bathroom is usually all-neutral: white, off-white, beige, tan and light grey but you may also see black and white spaces, where black adds drama to the space. 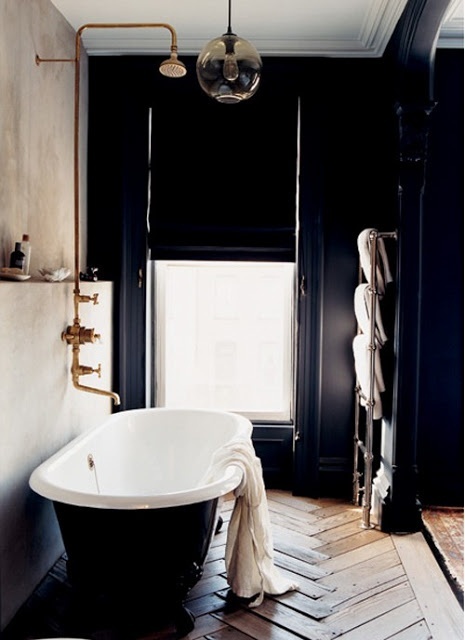 Try moody spaces, too: black and grey are trendy for decor now. 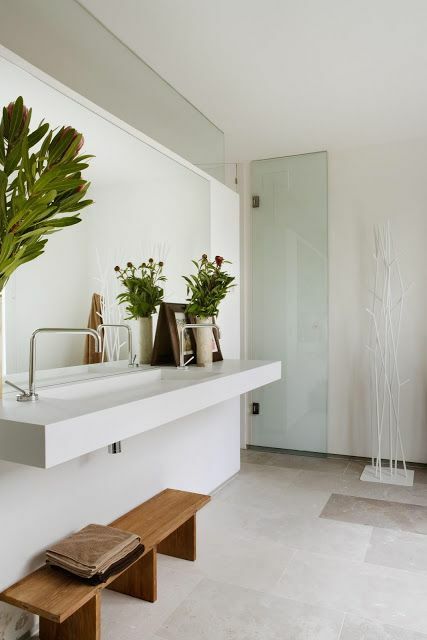 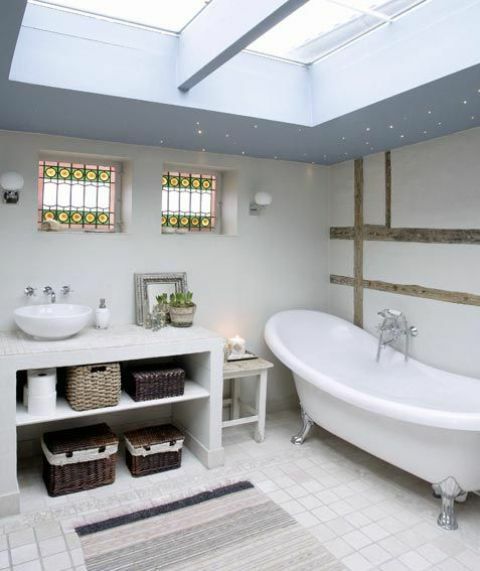 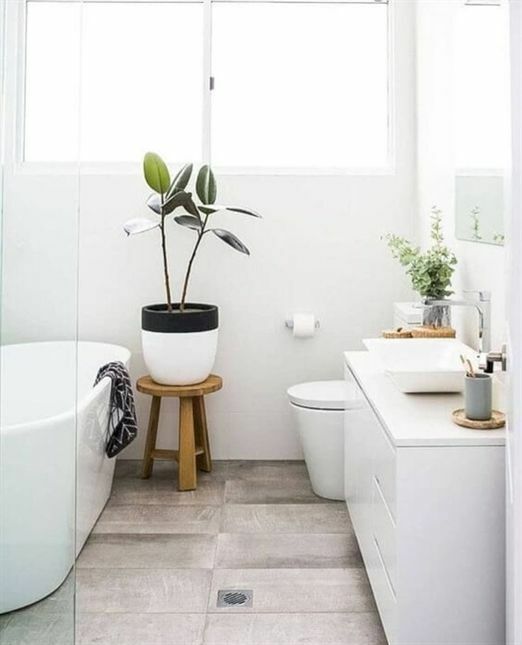 To avoid boring looks, just add potted greenery – it will bring color and a fresh feel to the bathroom. 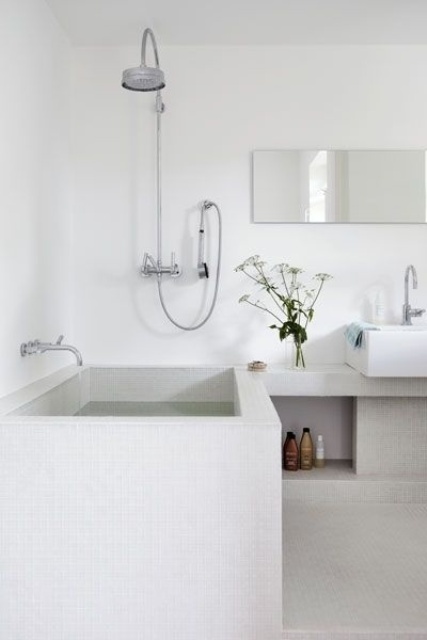 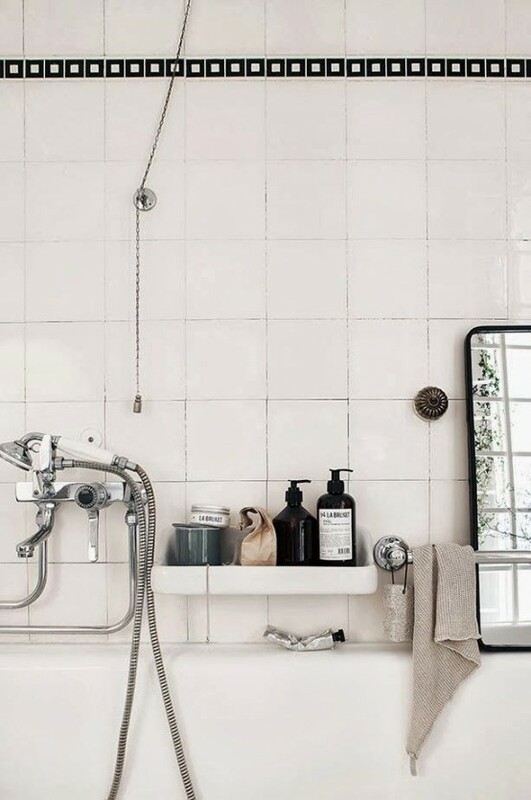 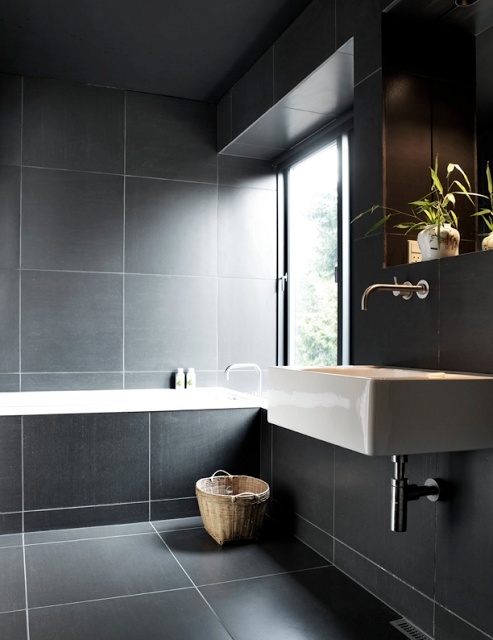 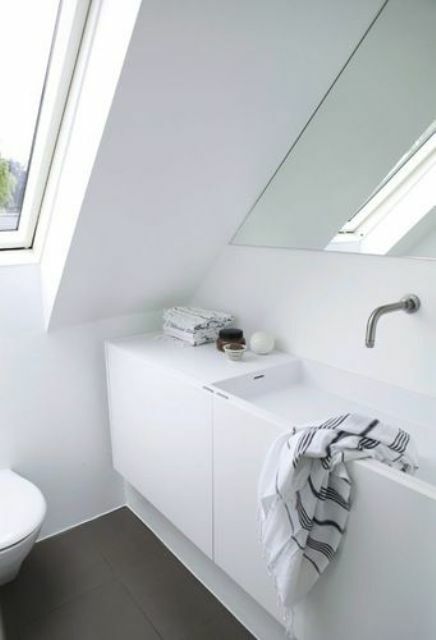 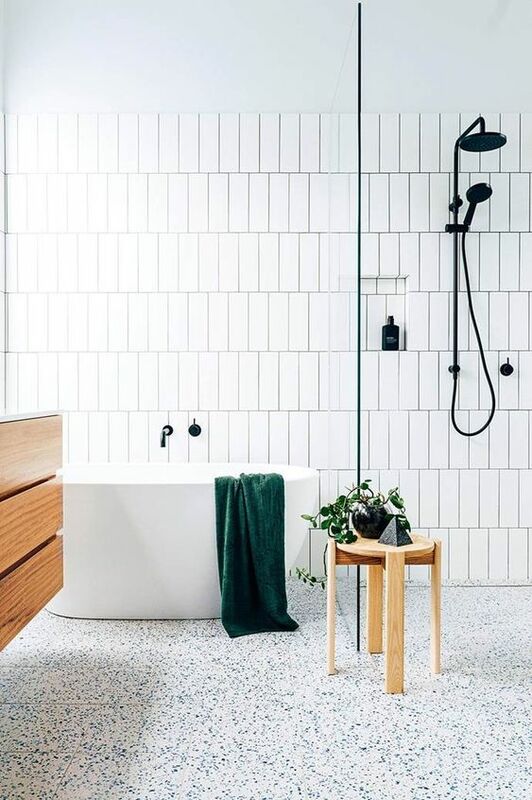 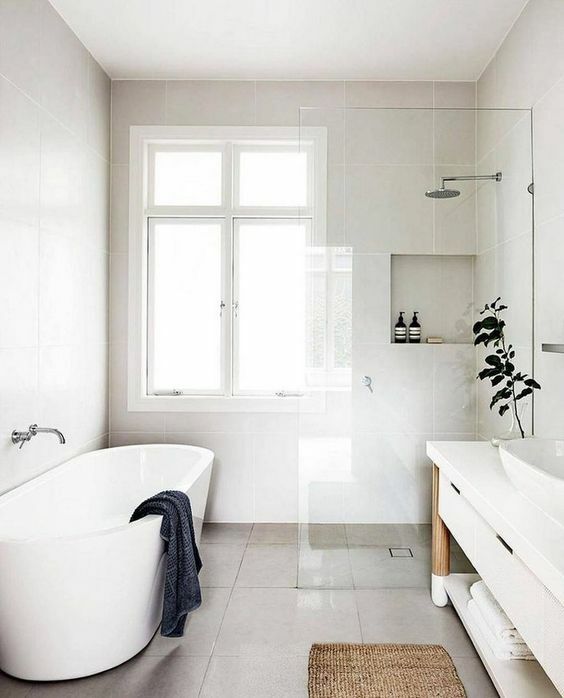 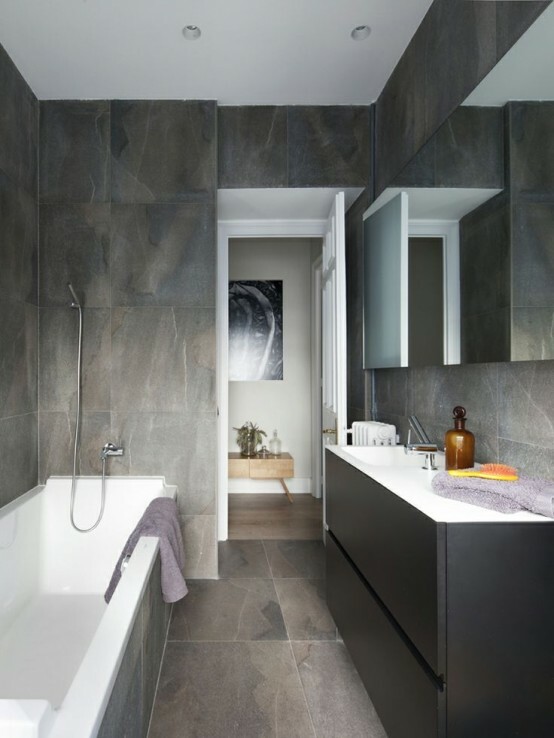 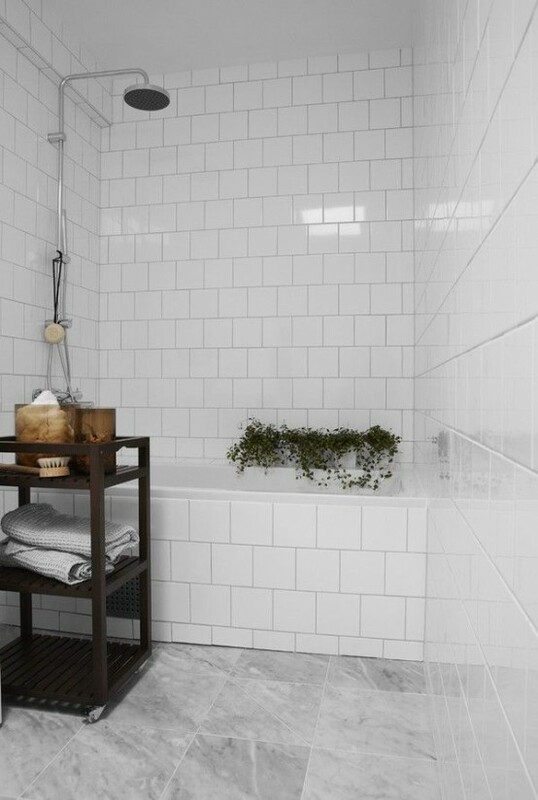 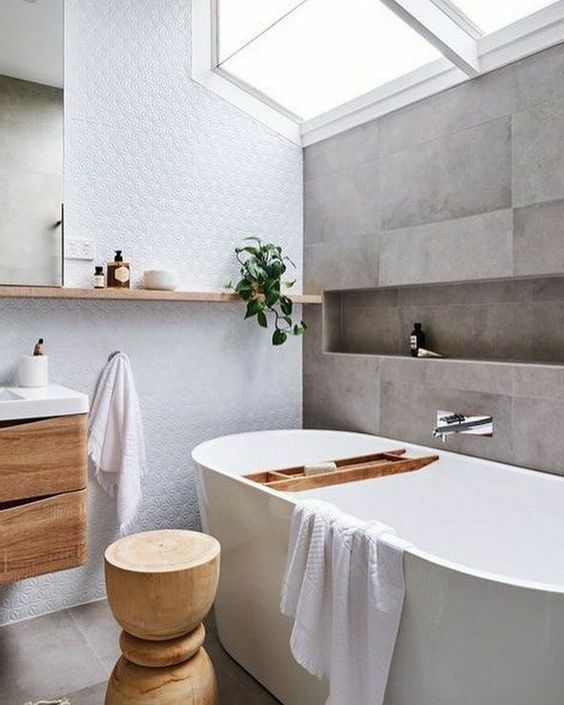 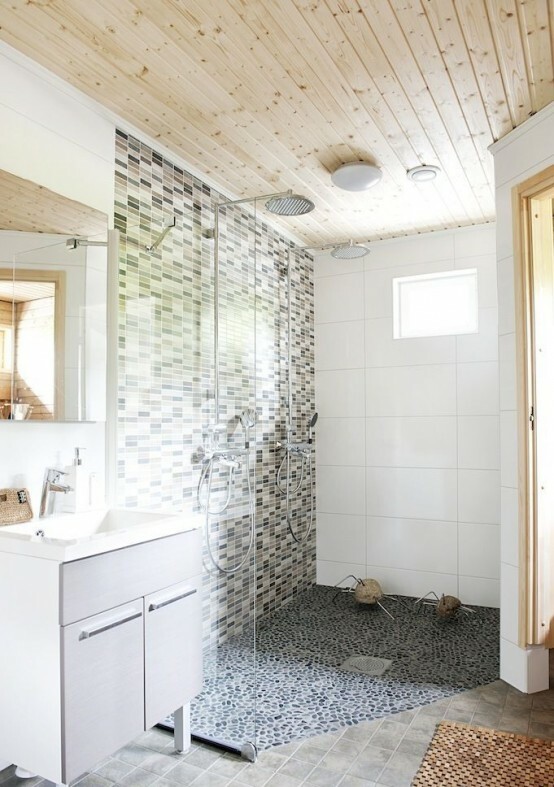 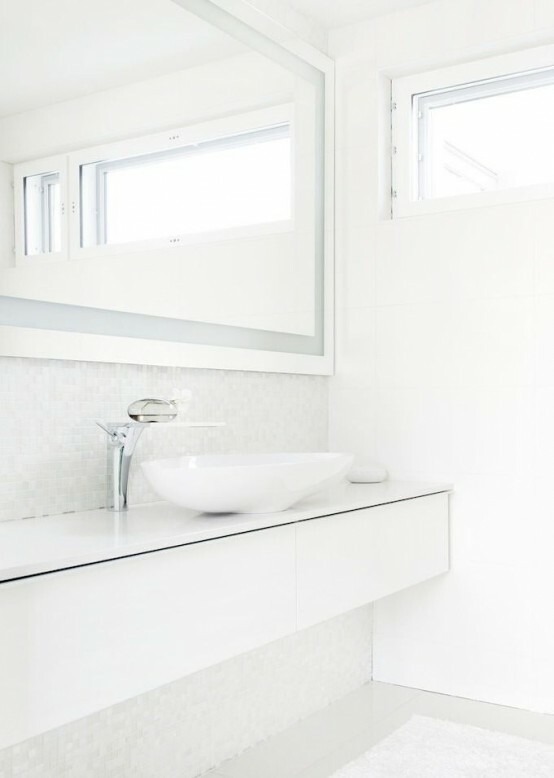 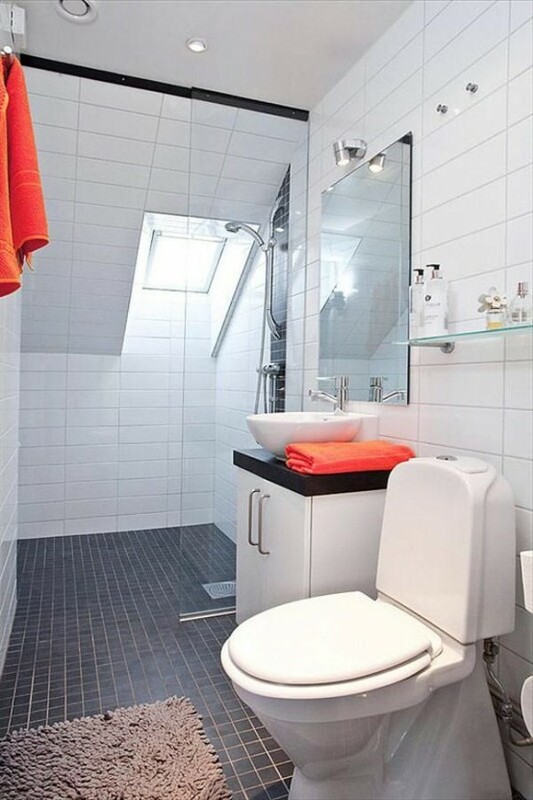 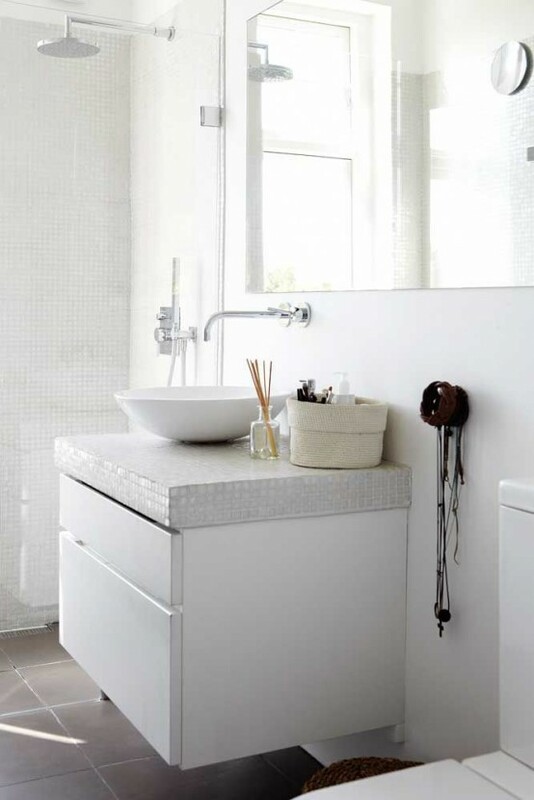 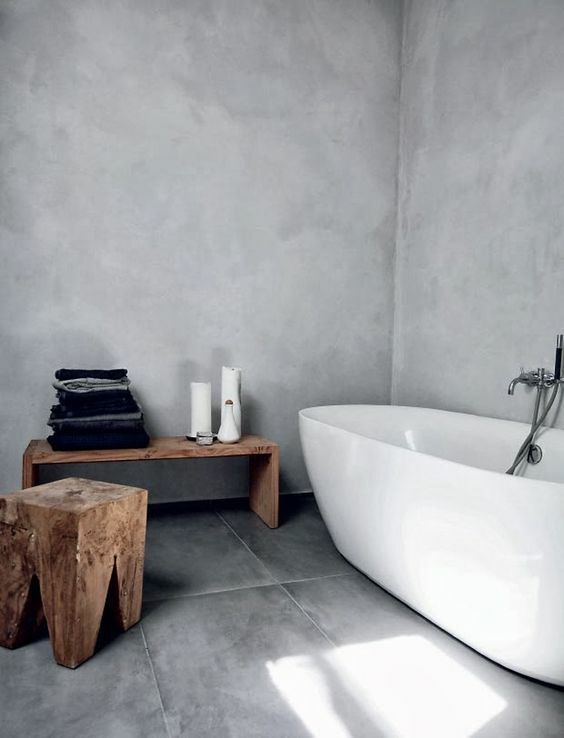 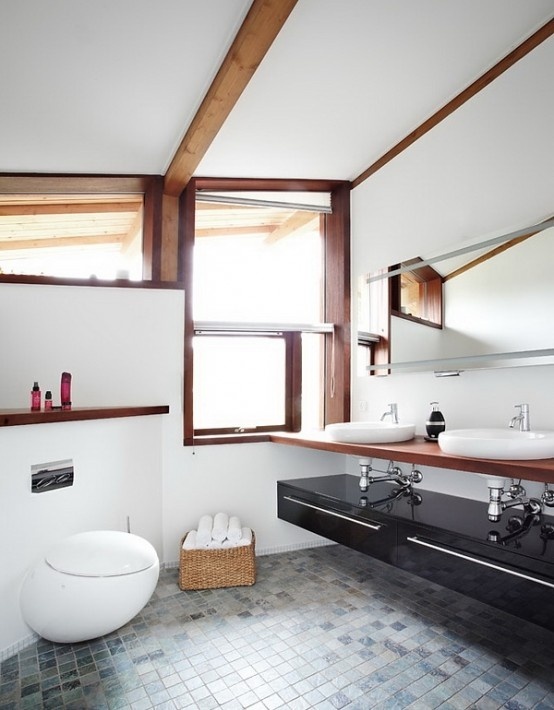 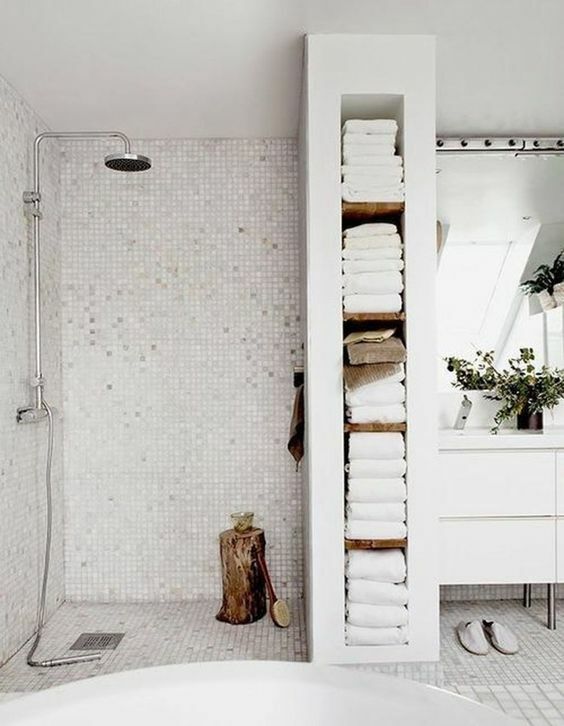 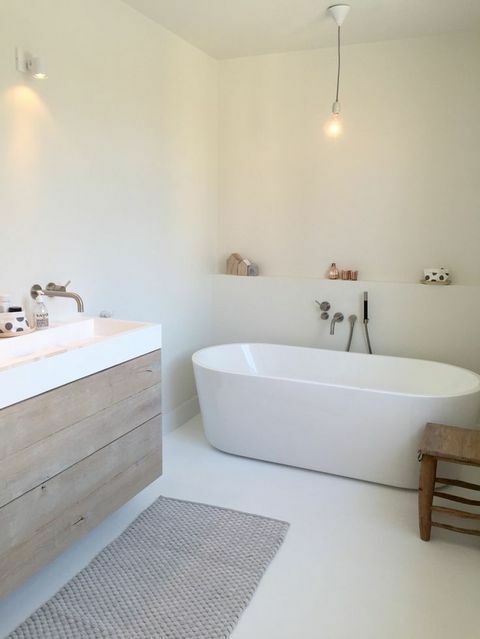 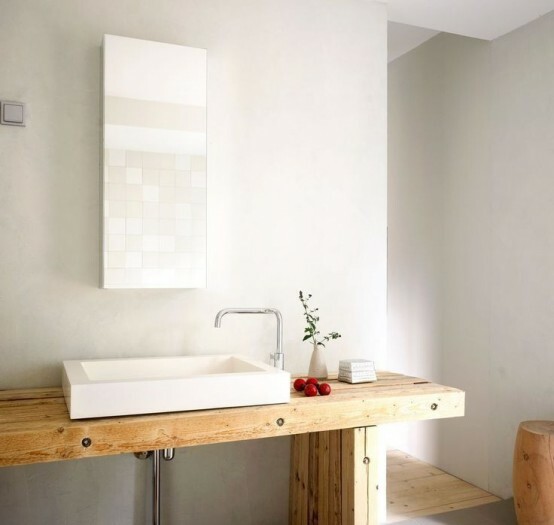 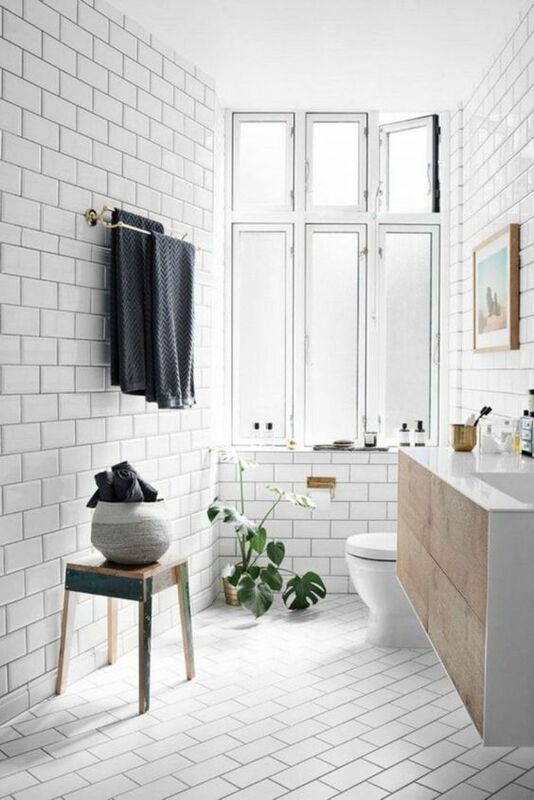 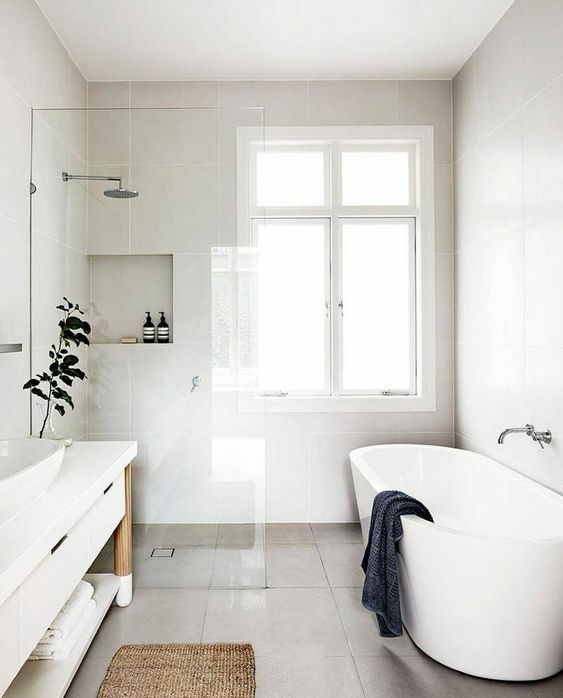 A Nordic bathroom can be done with tiles, white or usual concrete, stone tiles and you’ll definitely need some wood, preferably light-stained, and stone, too. 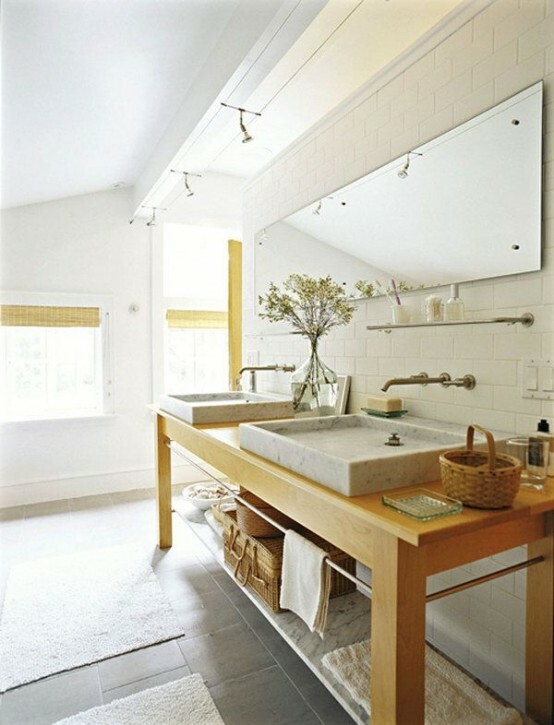 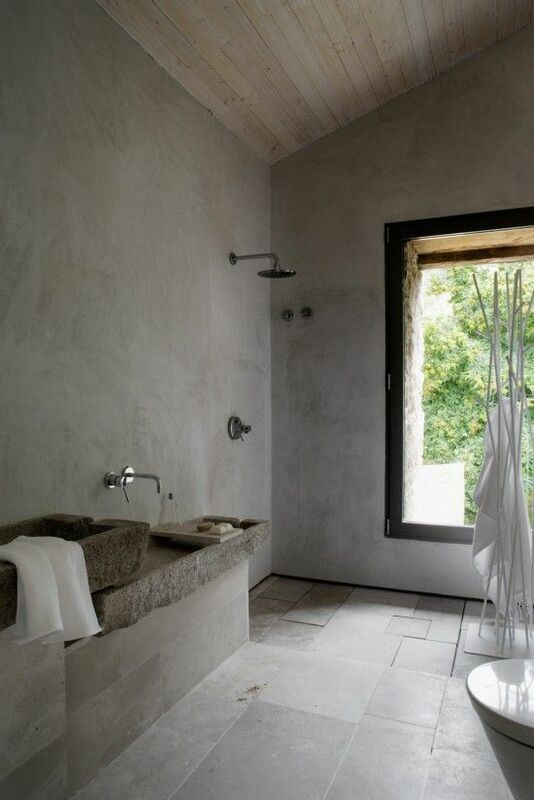 Add wooden mats, tree stumps, cabinets and benches and go for stone sinks and even stone for only decor. 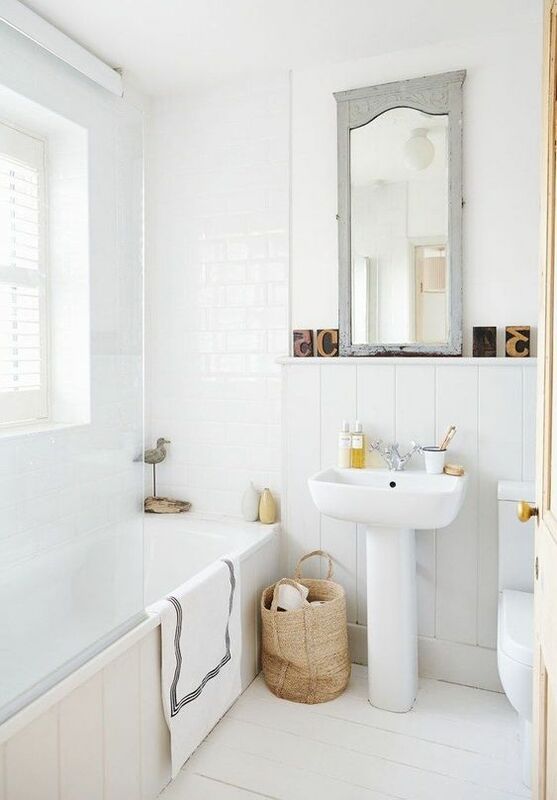 Place some woven baskets and boxes for storage and voila – a chic look is achieved! 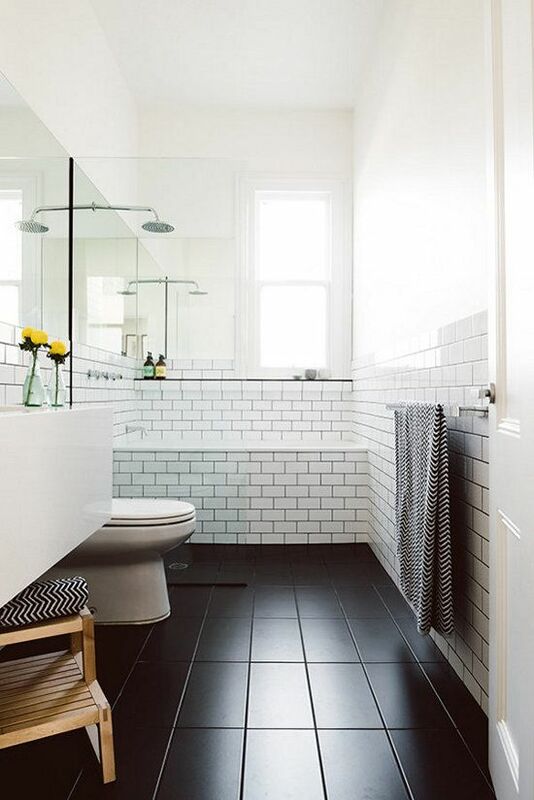 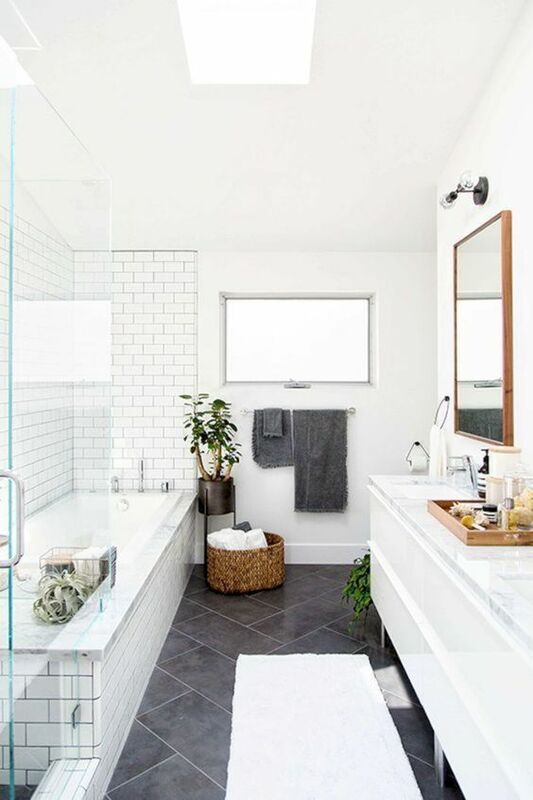 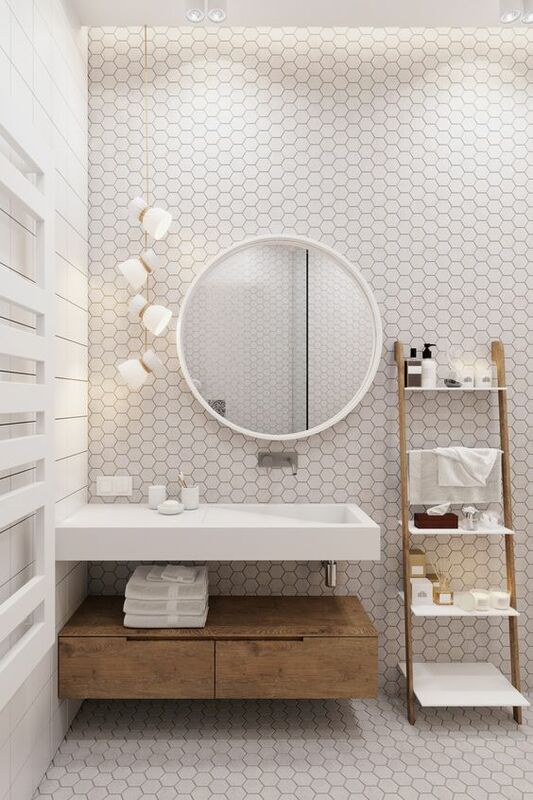 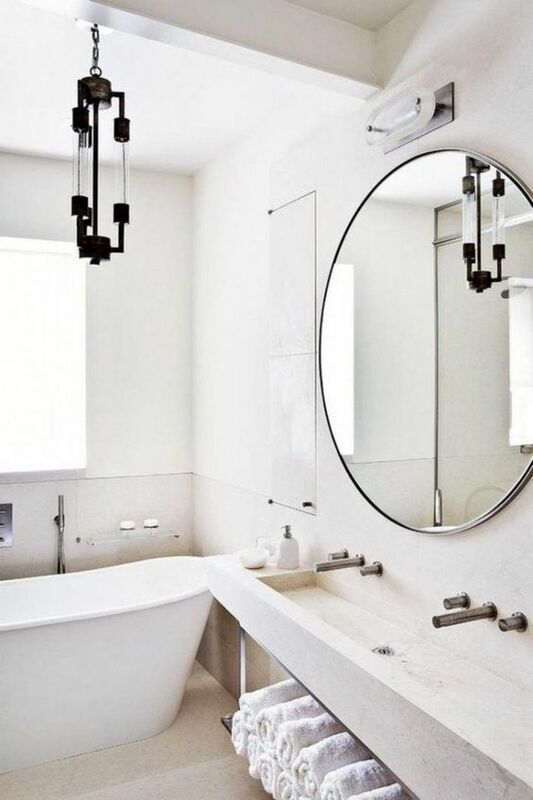 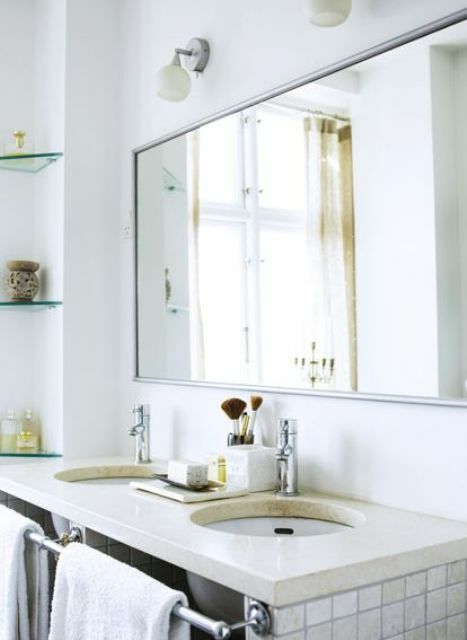 Go for a modern oval tub or a vintage one, a wall-mounted vanity with a couple of sinks or a bowl one, for contrasting faucets in black and accent your tiles with bold grout. 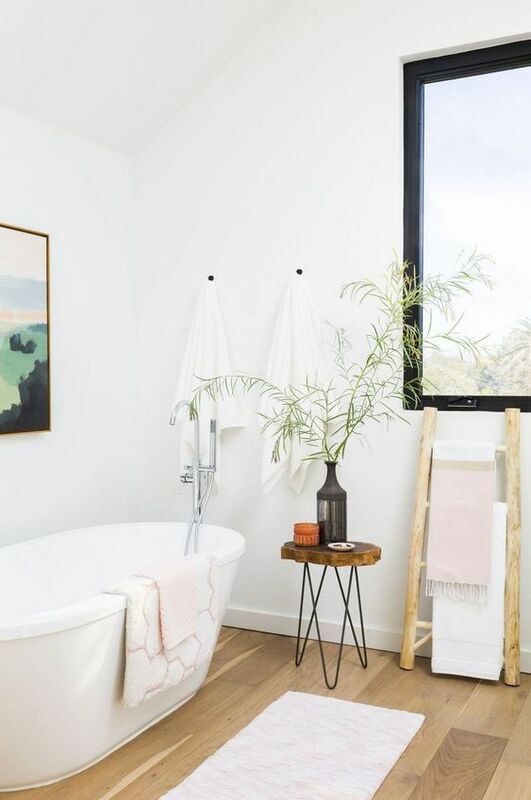 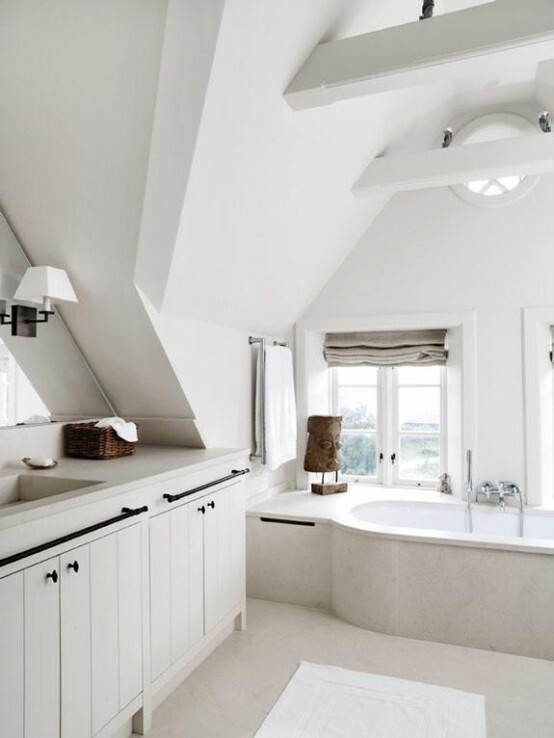 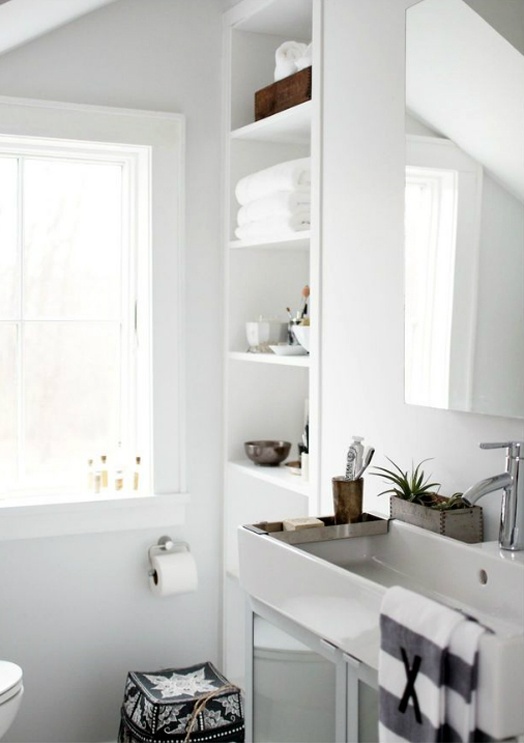 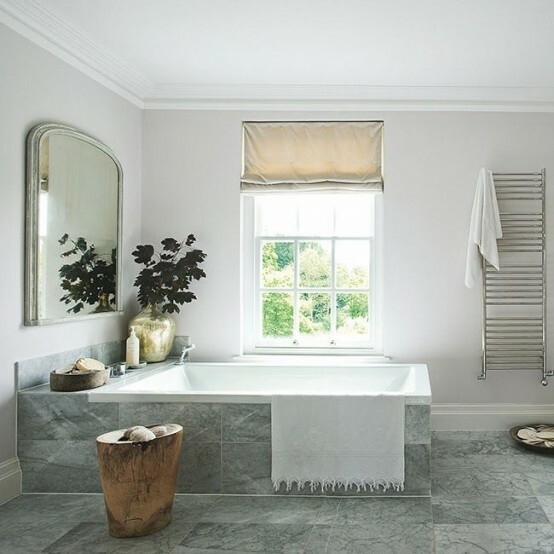 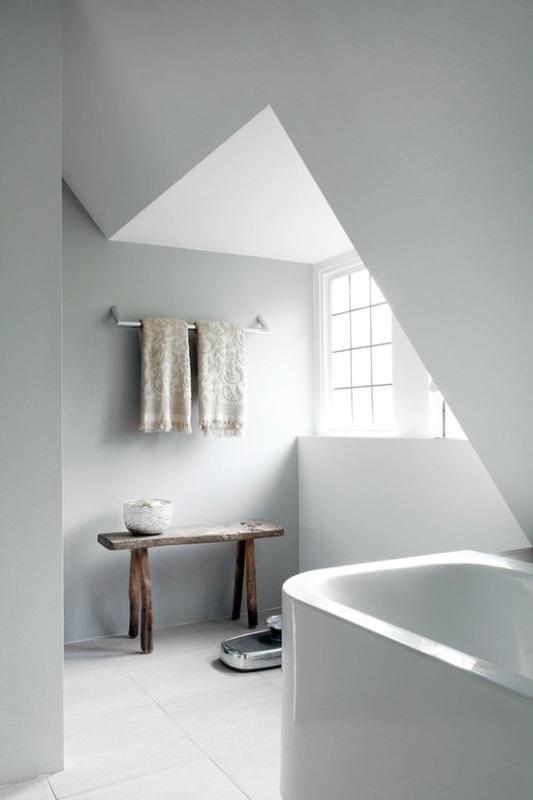 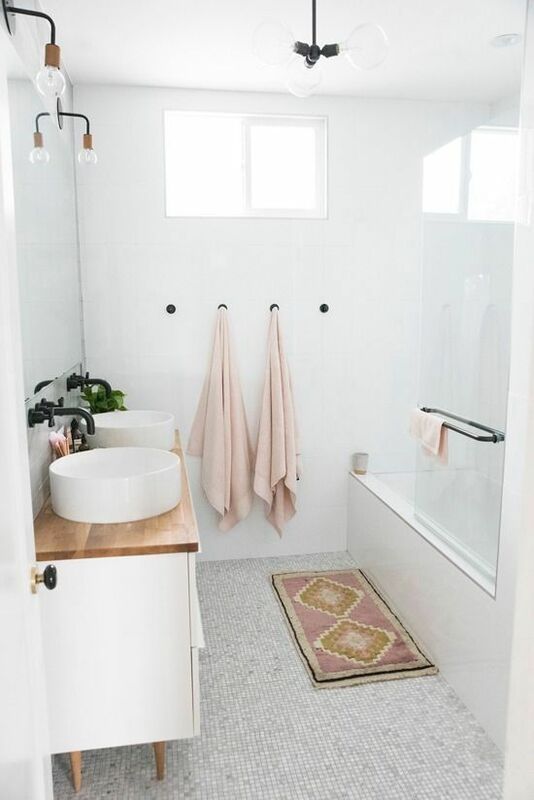 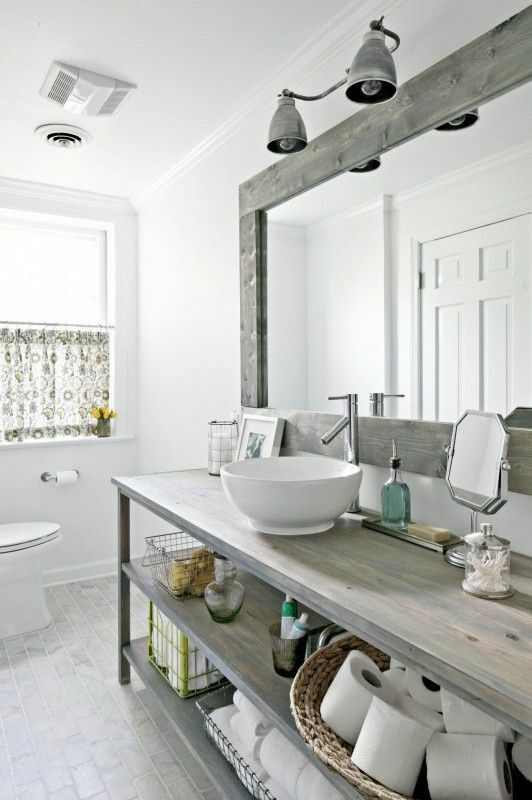 Don’t forget about cozy textiles and towels to make the bathroom welcoming.